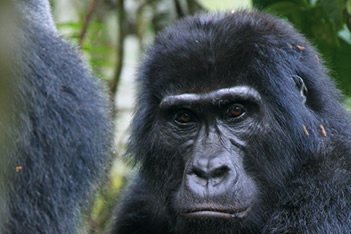 How much gorilla safaris in Uganda cost? 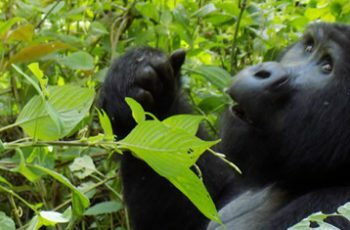 is a frequently asked question by many people that would love to experience gorilla trekking in Uganda, therefore this 3 Days gorilla safaris in Uganda itinerary contains relatively fair prices bearable to all people’s budget hence solving the “how much gorilla safaris in Uganda cost” question. 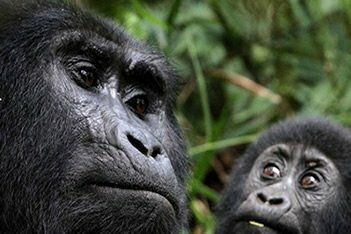 This 3 Days gorilla safari in Uganda enables you visit the world’s home “Bwindi Forest” to more than half of total population of the endangered mountain gorillas. The 3 days gorilla safaris in Uganda starts with an early morning drive to bwindi from your hotel, do gorilla trekking and community visit then drive back to Kampala city or Entebbe International Airport hence calling it an end to our 3 Days gorilla safaris in Uganda. Our 3 Days gorilla safaris in Uganda starts with a pick up from the Hotel then drive to the far south Western parts of Uganda, the travel time is about 9-10 hours including stoppages for lunch and equator line experience. Expect to reach your lodge in Bwindi Impenetrable National Park in the evening hence rest and prepare for the gorilla trekking trails. Meal plan lunch and dinner. Start the day with an early breakfast then embark for 3 days gorilla safaris in Uganda experience with 5 min drive to the gorilla trek briefing point were you will meet other tourist who will be joining you on a gorilla safaris in Uganda experience, you will then be briefed on the DO’S and DON’TS while in bwindi impenetrable forest. Time taken trekking gorillas will depend on how far and the time you take to find the gorilla groups allocated to you, but usually it takes between 2-6 Hours then return to the lodge relax as you get ready for dinner and overnight. Meal Plan Breakfast, packed lunch and dinner. The 3 Days gorilla safaris in Uganda ends with an early break fast then drive back to Kampala city with a stopover for lunch in Mbarara. Meal plan breakfast and lunch. Souvenirs and all expenses of personal natures. Anyone with flue or Diarrhea or any sort of communicable diseases will not be allowed to enter the park for Gorilla tracking safari.